These tyres may have higher rolling resistance than some Brompton alternatives, but I'll guarantee that a flat tyre has even more! And, with these, punctures are more or less a thing of the past. If you want to go fast on your Brompton you should probably look elsewhere, but if you value reliability and long-term durability (especially on your daily commute when you don't want to be faffing about mending punctures - particularly in the hard to remove Brompton rear wheel) then I heartily recommend these. In ten years of using Marathon Plus tyres, I've had two punctures - one an enormouse thorn through the side wall (really bad luck this one) and the second a long and jagged bit of bottle glass. Apart from that, nothing in 15,000 miles of commuting!! These are my default fit to a Brompton. Purchased as a replacement for Brompton's standard tyres which get a little flimsy after a while. Fairly easy to fit providing you get the bead well into the opposite well and use a little soap. Not noticed any huge difference in rolling resistance, seem to be averaging similar journey times for similar effort but steering was lighter and took a little while adjusting to. Overall, very happy, these seem much more robust. Bought as a replacement for a damaged standard marathon. The "plus" version enjoys a higher puncture resistance but suffers higher rolling resistance as a consequence. The higher rolling resistance is only really noticable at higher speeds on good tarmac. If one's use is over imperfect surfaces and/or in a low to medium speed, urban environment, I suspect that any difference would be difficult to gauge. So best not use these tyres for racing on a perfect surface. I once purchased a secondhand Brompton with very old, or possibly original marathon tyres. (So potentialy 14 years old!) I eventually changed them as the tread was starting to degrade. I fitted these to my folding bike before cycling Land's End to John O'Groats. 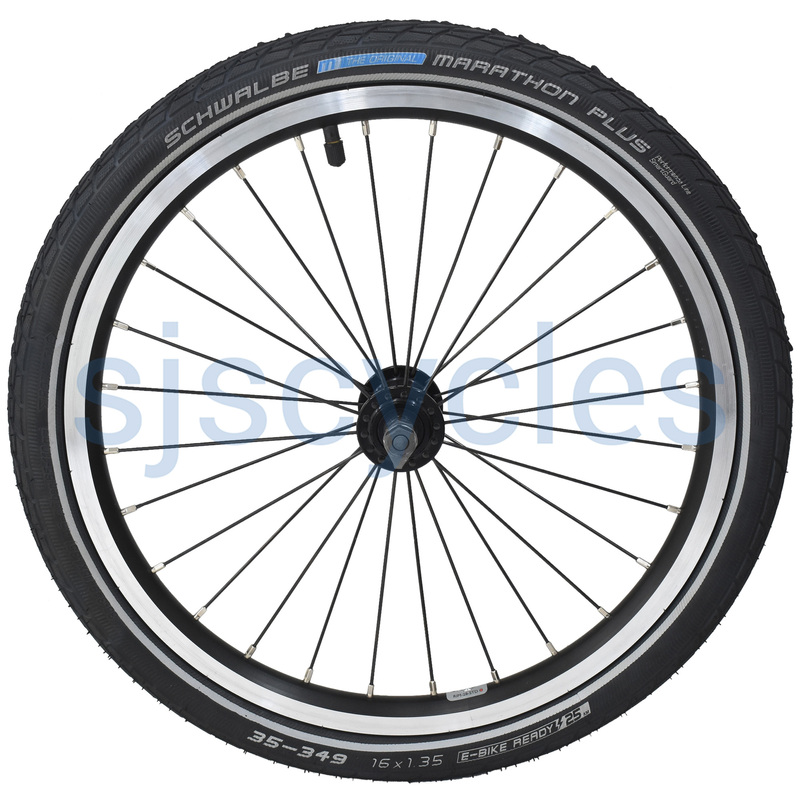 No punctures, but a lot stiffer & with a higher rolling resistance compared to standard Marathons. Consequently I refitted standard marathons to my long distance bike & moved these to my occasional commuting bike, which is never used for more than 8 mile trips & it's all stop/ start, so rolling resistance is less important & puncture resistance more significant.